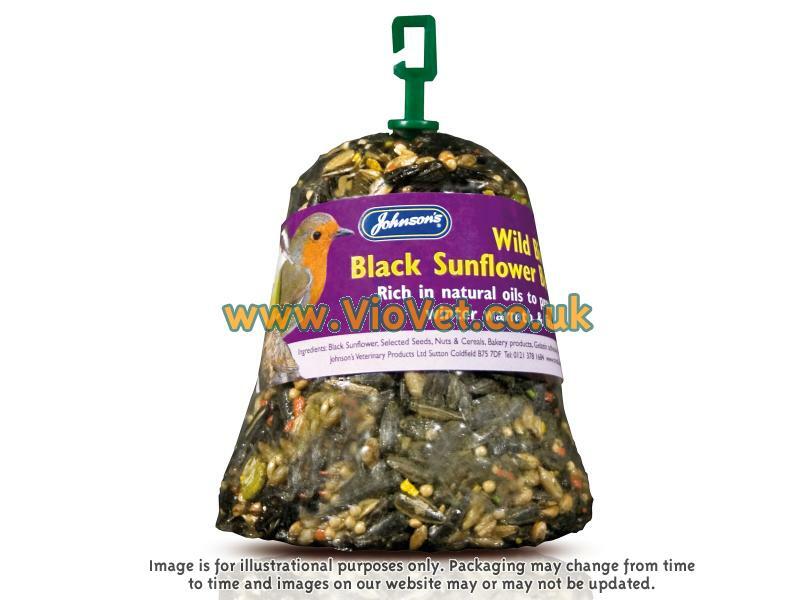 The Johnson's Black Sunflower Bumper Bell is an extra large sized treat for wild birds, containing a delicious mix of seeds, nuts and honey. Features a plastic hanging hook so the bell can be easily hung in an aviary cage or in a tree to help keep them happy and content. Black sunflower, selected seeds, nuts & cereals. There are currently no questions for Johnson's Wild Bird Black Sunflower Bumper Bell - be the first to ask one!